Questions your readers should never ask: Which way for English? Which way for Japanese? 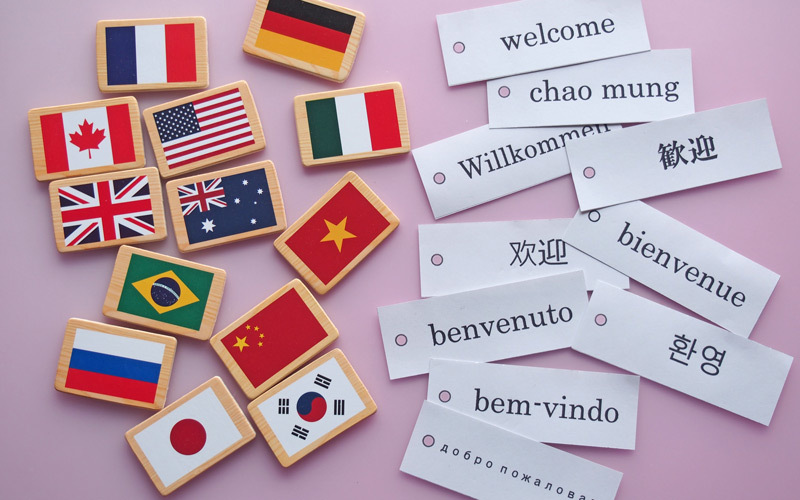 While search engine optimization (SEO) in a single language is challenging enough, there are even more challenges in keeping a multilingual site optimized for top search results. This article will provide tips on how to organize your multilingual website for SEO in Japanese. Although we will be focusing on sites with Japanese, much of this advice applies to multilingual sites in any language. If users can’t find what they need in their native language quickly, they will leave the page and never come back. Nobody wants to stumble onto a page where they can’t understand anything. This is why Google promotes websites that have clear distinctions between content in multiple languages. and all other languages on your website. Please check out our SEO services if you’re interested in hiring a Japanese SEO specialist, rather than doing this all on your own. 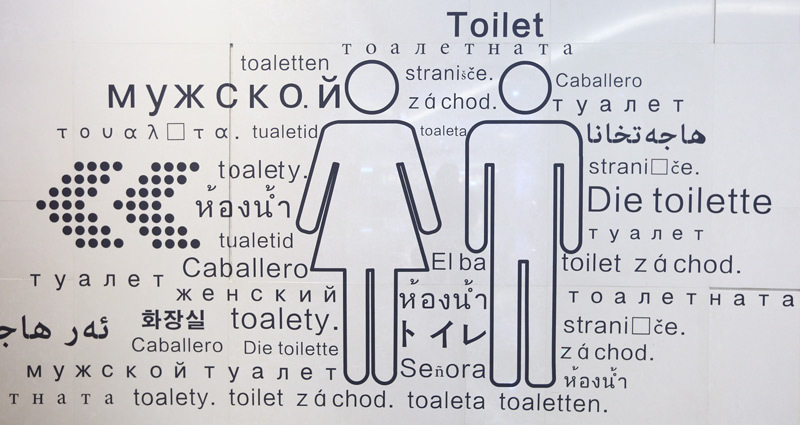 Try to keep languages clearly separated on your site so users don’t accidentally stumble into foreign text. Google’s web crawlers don’t use any code-level information to determine the language of a page, they just read it like any person would. Therefore content should generally be in one language on every page of your website. If Google’s crawlers read a page with content in multiple languages, they may not understand which language the page is targeting. This could result in only some or none of your content getting placed in relevant search results. Google also recommends avoiding side-by-side translations of content on a single page. Instead, create an experience where your site can be explored completely in one language at a time. If you can’t avoid it, Google advises to block pages with multilingual content from being scanned by their web crawlers. Of course, we recommend not blocking pages unless absolutely necessary so you should try not to do this if possible. There are sometimes exceptions to this rule when it comes to Japanese websites. It might be necessary to mix roman and Japanese characters in some cases to provide the best user experience. For example, having some English flair on your site can be a good way to draw attention from Japanese readers. Additionally, some Japanese keywords will include Roman based characters such as “SNS.” When in doubt, go for the most natural content possible. To be sure you get it right, it’s best to work with a partner who is familiar with SEO in Japanese and creating multilingual websites. Local experts will be sure to make your content sound natural and also implement code level tactics that can improve your SEO in Japanese and all other languages on your site. Localize your website everywhere you possibly can. Google uses various signals and integrations to tell where your website is targeting its content to. You can easily optimize your site to make sure they get it right. Country specific domains (.jp, .co.jp, .co.uk) are one of the main indicators for regional targeting. If you have a generic top-level domain (.com, .edu, .org) then other information is mined from your website and other sources to determine targeting. Google reads addresses in your website copy, your IP address, and even data from external links to determine where your content is being targeted to. Additionally, be sure your website is listed on your Google My Business Page on Google Maps. Google will cross reference the contact info between your website and Google Maps to determine the targeting of your website. Localize your website everywhere you possibly can. . . . Google reads addresses in your website copy, your IP address, and even data from external links to determine where your content is being targeted to. If all of this fails, you can also directly tell Google who you are targeting via their international targeting report. Just remember that all of the above factors aren’t just for SEO. Implementing them will help your site be more relevant to users in your target country or region, thus providing a better user experience. .co.jp domains can only be used by companies that are officially incorporated in Japan, or officially registered as a foreign company in Japan. .jp domains can be used by any person or company with a permanent postal address in Japan. If you’re looking to buy a Japan specific domain, feel free to check with us. We can help you make sure you’re choosing the best fit for your website’s SEO in Japanese and other languages. Be sure to separate different language versions of the same page onto unique URLs. Basically each translation of a page should have its own, clearly marked, url. Additionally, Google discourages websites using cookie-based systems to automatically translate pages based on user settings. Though this sounds like a good idea in practice, it actually hides the user’s ability to choose the language they are most comfortable with. Implementing such systems could result in Google’s crawlers missing the content entirely. This, of course, will hinder your chances for high search rankings. Each translation of a page should have its own, clearly marked, url. Additionally, automatic redirections based on the users’ language settings can also interfere with Google’s website crawlers. For the best multilingual SEO results, allow your readers to choose their language easily, and clearly indicate which version of the site they are on with a unique URL. If you look at our site, all Japanese content is organized under /JA/. This clearly shows users and Google which version of the website they are on. Switching from one language to another should never be more than a click or two away. Most sites provide language selection in the header or footer so that it is on every page. Additionally, be sure that the link is clear and understandable to the reader that speaks the language they are trying to find content in. For example, don’t use the Japanese characters for “English” on the button that takes the user to the English website, the English speaker definitely won’t be able to read it. If a user is on your site in the wrong language, they should at least be able to find and read the language selection button in their native language. Many websites and interfaces use a country’s flag to help users select their language preferences. This would work for a language like Japanese, since there are no other countries in the world that speak Japanese. Spanish, on the other hand, is spoken in dozens of countries and doesn’t have a single flag that could represent it. Remember that flags represent countries, not languages, making them vague and confusing for language selection. Whenever you are making a decision about how to lay out your website, remember that the end goal is for users to come to your site and explore it. Even if your site is somehow bringing in great traffic, it’s all useless if users aren’t interacting with your site. SEO in Japanese is very similar to that of other languages, and the user’s experience is the key principal that you should consider before making any of your decisions. Don’t hesitate to ask if you have any other questions about implementing SEO in Japanese on your website, we’d be glad to share our expertise.